Many people have complained about the heat this year being horrible. However, compared to some other heat waves that people have experienced over the past generations this is considered to be not so hot. Weather patterns can fluctuate around the globe and have been known to do so throughout history. 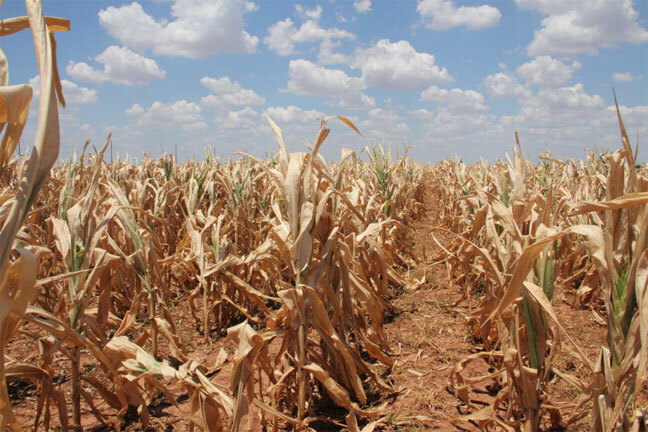 These heatwaves can cause droughts and even sickness. Heat waves can be extremely uncomfortable and deadly. When a person dies in a heat wave it’s often from lack of dehydration and thirst. The ones highest at risk tend to be the elderly but heat waves can cause problems for people of all ages. This is why it’s also so important to make sure that people drink enough when they are out and about because you never know when the heat wave could get so bad it might cause dehydration. A lot of people know about the 1930’s dust bowl that happened but first there was this heat wave in 1901 that was one of the deadliest heatwaves in history. Almost the entire eastern part of the country was affected. This includes people from St. Louis all the way to New York City. It was so horrible in these parts that not only did people die in massive numbers, but horses also even collapsed and would die from thirst. 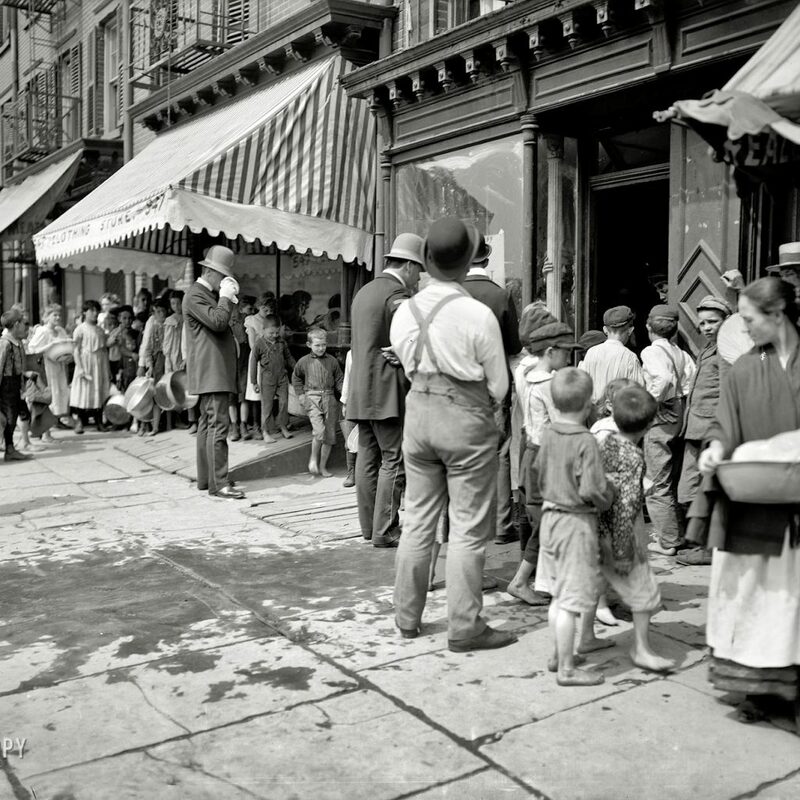 There were at least around 9,500 documented deaths that happened between June-July 1901 from this heatwave. The highest temperature reached 109 F.
The 80’s was remembered for many awesome things but do people remember the horrible 1988 North American Drought that killed between 5,000 to 10,000 people? It was one of the worst heatwaves and droughts ever in North American history. The drought also was very prolonged plus it lasted during the entire summer of that not year. Not just for part of the summer. The temperatures would be unseasonably high and break out in various times and places. They would end up having weeks of temperatures being around 100 degrees or hotter. Power grids also would shut down a lot that caused outages and deaths. Just recently, in 2015 there was an Indian heat wave that happened in India. The heatwave was so severe that it left around 2,500 dead. 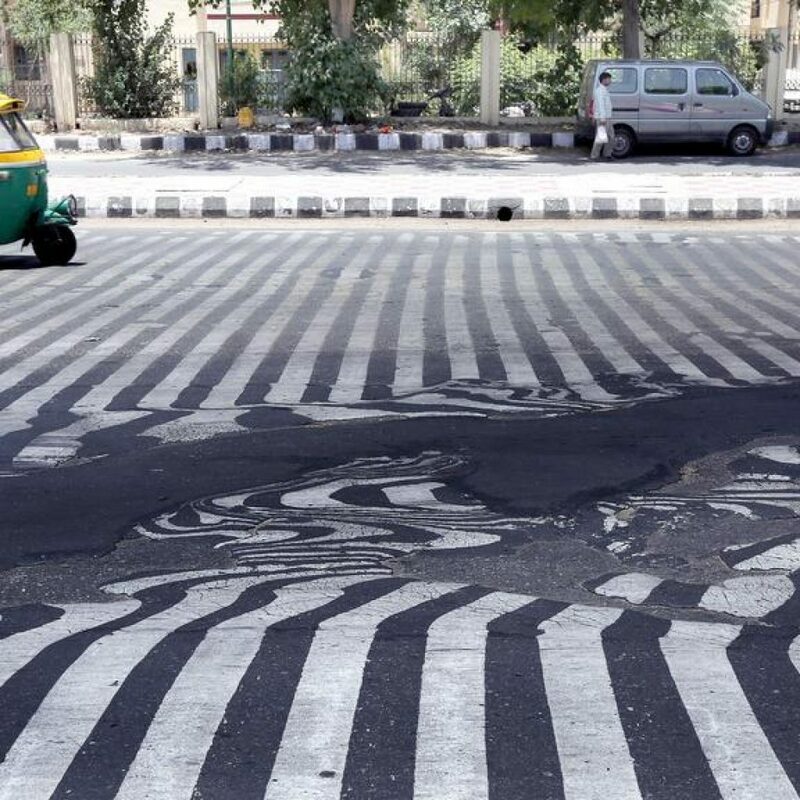 It got so hot that even the streets would start melting in Dehli. The asphalt would start morphing and the transportation was greatly affected. The Indian health authorities even urged them to take extreme precautions during that time. The heat wave ended and they finally got some relief. 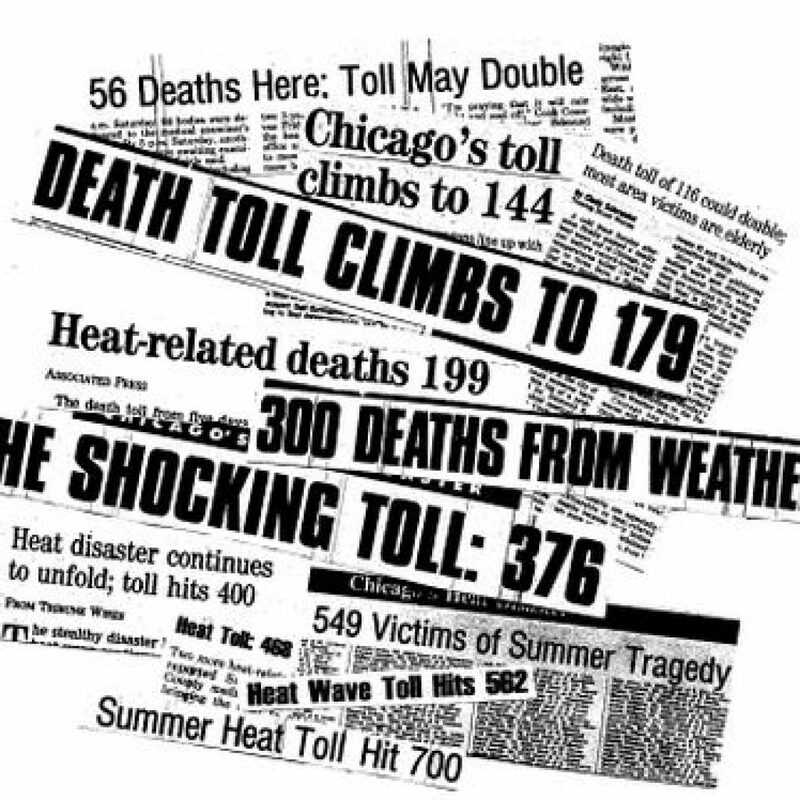 The highest temperature known was around 118 F.
On July 15, 1995 215 people died from a heat wave that happened. It was one of the worst heat waves for Chicago that year. By the end of the week over 700 people had lost their life because it was so hot. The temperatures remained around 90 degrees and above for around a week and most days it would get around 100 degrees or hotter. City officials started looking into ways to help with trying to prevent similar tragedies like that from happening again. 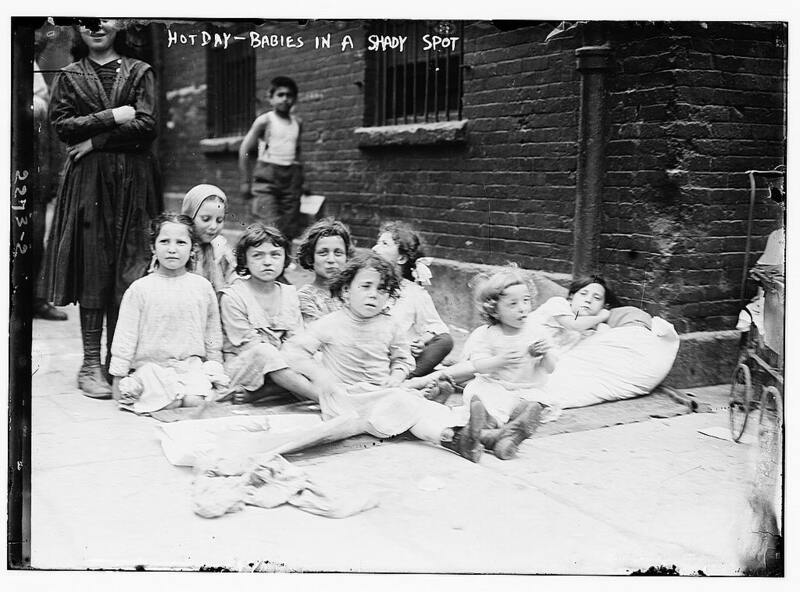 The death toll was also from the city not being ready for the extreme heat wave. In 1972, New York and the Northeastern parts had a heat wave that was extremely significant. This heat wave was very deadly. Around 900 people had been documented that had died from this heatwave in these areas. What made this heat wave so bad was that the high heat had lasted for around 16 days. The high heat also was mixed with a lot of humidity levels which ended up being very high and deadly. Between the mix it caused a lot of death and sickness. The heatwave also caused some blackouts as well which made the conditions even worse in these areas. Free ice was also offered in some areas because of the heat wave. 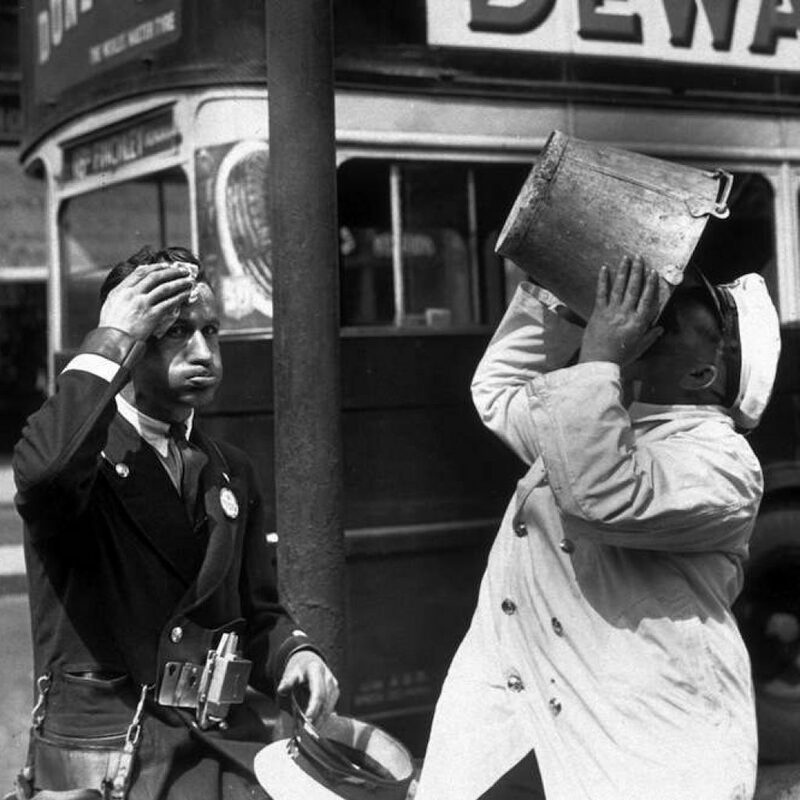 Perhaps, one of the worst ever heatwaves recorded was the 1911 United Kingdom heatwave. The country experienced temperatures around 92-97 between early July and all the way up to around September. Even by the month of September they were still having temps of around 92 degrees. By the month of August, a lot of the healthy people of the UK even started to suffer. There was long nights of humid nights and food started to spoil. It was so hot that there was a strike in August at the Victoria and Albert Docks where about 5000 people ended up walking out of the workforce because they could not tolerate the heat. It’s unknown the hundreds of people that died from this heatwave. The Australian summer between 2012-2013 was known as the extreme summer but mainly the angry summer. This summer had resulted in at least 123 weather records which were broken over a 90 day time period. One of the hottest days ever was also recovered. They experienced temperatures from between 102-122 degrees or higher. They also experienced days of hot record-breaking temps. This sparked many massive wildfires that happened because of a flash drought that was brought on by the extreme heat. People ended up dying from both the heat, drought and the fires that happened from this heat wave. 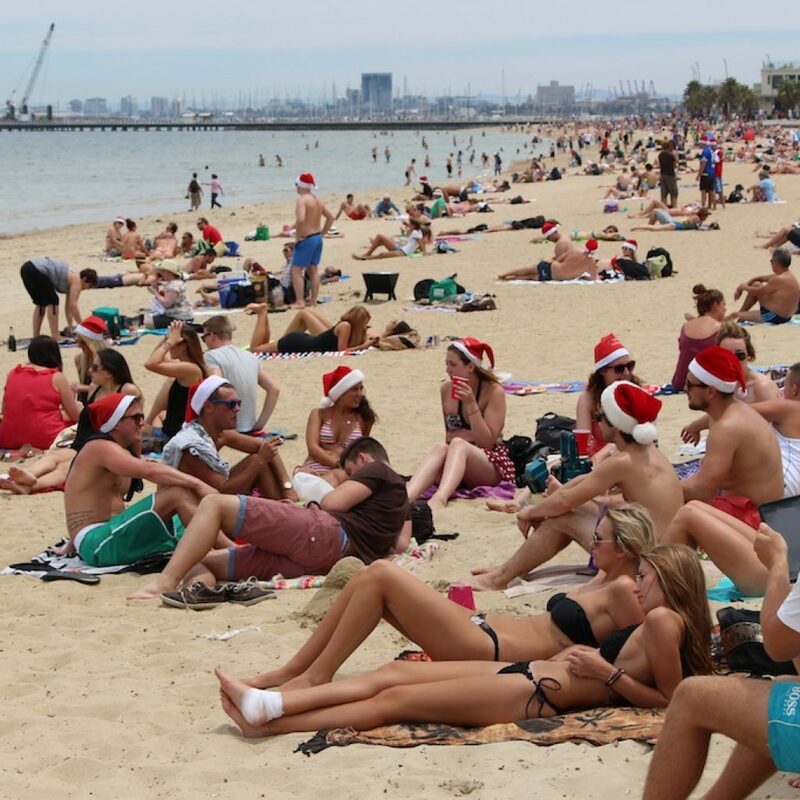 Many hit the beaches to try and stay cool. As you can see, it’s so important to drink water and to stay dehydrated. It’s also important to check out the humidity and dew point because of those can cause the heat to become deadlier. Make sure to put on sunblock and wear light colored clothes when out in the sun for long periods of time. Pay close attention to heat advisors and take the needed precautions in order to survive the heatwave.